1) Firstly Download Mobikwik Here. ( Join using above link only, if you. 2) Install & open the Mobikwik App. 3) Register a New account on. Mobikwik Android App. 4) Once you signed up successfully. 5) Then add Rs 200 or more to your. 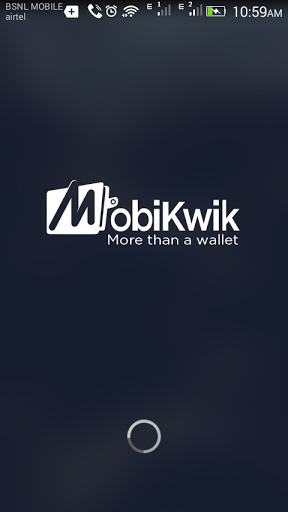 Mobikwik wallet. 6) That’s it, You will get the Rs 50 Extra in your Mobikwik wallet within 24. hours. How to Refer and Earn ? 1) Goto >> Menu >> Refer & Earn. 2) Get your referral link their. 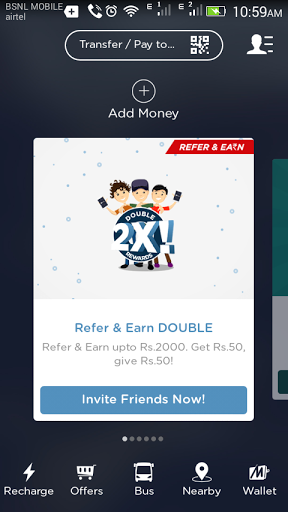 3) Now Share it with your friends, once your friend download Mobikwik app using your referral link, and add Rs 200 or more then You & Your friend both get Rs 50 Cashback in Mobikwik wallet within 24 hours. 4) So Hurry up and earn money !! Invite your friends to install & add money on the MobiKwik App! 2) On every new friend who installs from your referral link & adds Rs 200 in MobiKwik, you get Rs 50, your friend gets Rs 50 too. 3) Please note that your friend should use your invite link for installing the MobiKwik App. 4) You can earn up to Rs 2000 when all 40 friends of yours add Rs 200 on MobiKwik. 5) Cashback will be credited within 24 hours. 6) This is a limited period offer. 7) MobiKwik reserves the right to end any or all offers at its sole discretion without any prior notice or intimation. Refer & Earn is currently valid only on the latest Android & iOS app. 8) To participate, you must invite people who are not existing users of the MobiKwik App (Referred User) to download the MobiKwik App. 9) The device on which the Referred Customer downloads the MobiKwik App must be a new device (must not have installed the MobiKwik App earlier). 10) The Referred user must be a new user and the mobile number should not have been registered before with any MobiKwik account. 11) Details of the credit of money would be communicated to your MobiKwik registered email id.